An edited and remastered issue of a tape by the IFCO quartet – Scott Foust, Karla Borecky, Jessi Swenson, & Meara O’Reilly. Rags To Riches is a live record documenting pieces from 2003 through 2005. Showcasing some top-shelf unreleased works; “The Whole World,” “Metropolis,” and “The Bitter End.” Older material is also included, a fierce version of “Artificial” from 2005’s Stranded, as well as the notorious “Cycle-19.” Additionally, there is a beautiful voice-based rendition of “Some Of Us” by IFCO comrades’ The Shadow Ring. All these pieces exhibit a contemplative and well-informed use of electronics, radio, and voice. Interlaced with spoken title announcements in French, punching typewriter passages, and bookended perfectly with audience dialogue and Mr. Ferry. 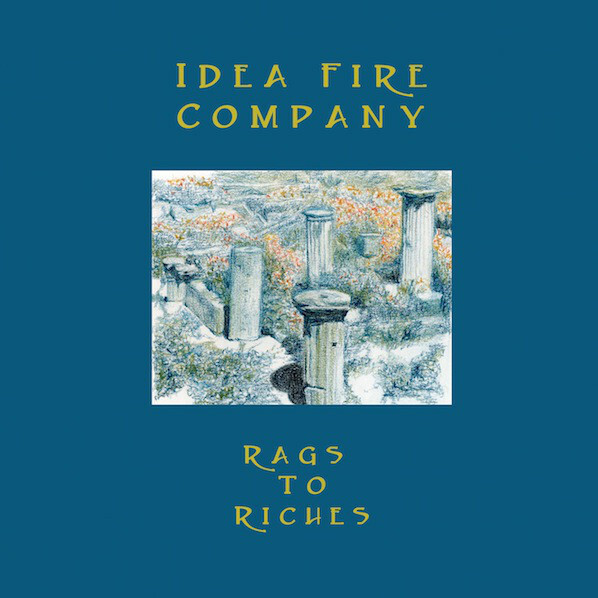 Their mechanical and uncompromising aesthetic is pronounced, as Rags To Riches reminds us all why Idea Fire Company are such an important contemporary outfit.